BIG VALENTINES Singles Mingle-FREE EVENT- FREE FOOD - 241 Happy Hour! Join other sociable Londoners in a relaxed and friendly atmosphere. It's VALENTINES EVENING - lets spread the love and celebrate our fabulous liberated selves with other fun loving friendly members at this fab venue. We had 200+ for this event last year - lets see if we can do it again?Please read our EVENT ATTENDANCE GUIDELINES ( https://www.meetup.com/Flying-Solo-Events/messages/boards/thread/50637619) - before you RSVP or attend our meetups.FREE EVENT - VALENTINES DAY SPECIAL. You must register for a FREE TICKET to get entry to our event. NO FREE TICKET NO ENTRY. You must select either Male Ticket/Female Ticket. Please note we always have many more Men at our events than females, especially at FREE EVENTS. We are restricting Male tickets to try to control the M to F ratio. If you're wanting a 50/50 event with lots of ladies, and it's going to spoil your evening if you don't get that, please choose an alternative event that suits your needs.You don't need to bring tickets to our events, simply turn up and quote your guest list name when you arrive.EVENT INFO:Lets get together, chat and make friends with LOW VOLUME BACKGROUND MUSIC ....perfect for chatting & getting to know you !! ...We have our own private room in PICCADILLY CIRCUS where we can chill out chat and mingle in an amazing location in the heart of the WEST END.We have a FREE FOOD for everyone who arrives before 8pm and we will be meeting, greeting and introducing all our guests to each other as they arrive..Please arrive 6.00-8.30pm latest for this event.The Mingle/Social aspect of the night will end at 9pm, if you wish to continue the night we have a tables booked elsewhere in the venue where you can let loose and party if you wish. 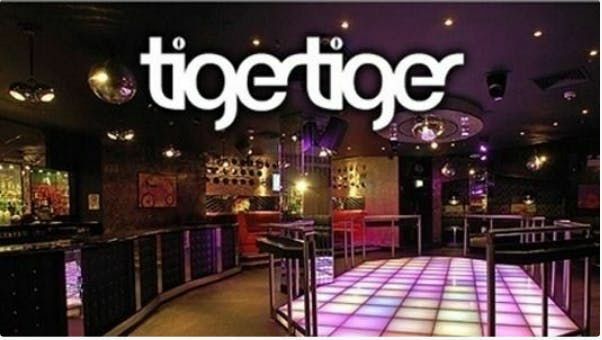 GREAT TUNES - Mainstream/R&B/Commercial Party Tunes provided by the TIGER TIGER DJAll welcome- It doesn't matter if you're a 'newbie' or a 'reg' everyone is welcome at our events and all of our members are friendly and welcoming make an effort to chat to folks. We always get a good mix of new members and members who have been to events before. Arriving alone - no problem - At least 50% of our members do so and you'll be introduced to others when you arrive -An event host will be hosting the event from 6.00-8.30pm...so will be there to meet & greet you, introduce you to other members if you wish (please request intros) and to encourage you to mingle with other members.VENUE INFO :Drinks Prices - Please check drinks prices on drinks menu or with individual bar staff BEFORE placing your drinks order. All drinks 241 until 8pmTTDrinks Menu: https://drive.google.com/file/d/18liLfDRQBvWawRFTm9KpUbFlpjYSrYtW/viewIMPORTANT INFO PLEASE READ:Nearest Tubes: Piccadilly Circus, Oxford CircusHOW TO FIND TIGER TIGER:Use Exit 4 of Piccadilly Circus, take the left hand side exit to Haymarket, Tiger Tiger is not far down the road on the left hand side.HOW TO FIND OUR AREA:We have exclusive access upstairs in the CLOUD LOUNGE - 1st Floor ofTIGER TIGER. Please ask staff for Cloud Lounge and/or look for our 'Flying Solo' Signs to help you find your way.Please do some research and plan your journey using smartphone googlemaps/streetmap prior to leaving and have some idea where you are going. Some places in London can be difficult to find and hosts cannot be held responsible for people getting lost or not able to find places.Please make sure you have read all event info before attending.• FREE FOOD - Is a share of a sharing platter - its not a full meal. If you're hungry eat before or order food from the bar staff• Dress Code: Smart casual Trainers are OK, no tracksuit bottoms or jackets, or hoodies.PhotoID i.e. passport/driving licence MAY be required for entry. If you don't have it you may be refused entry by the door staff. Club rules not ours.